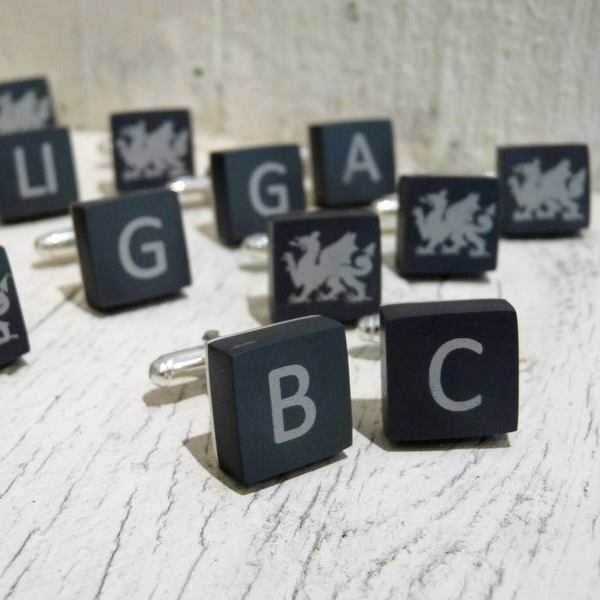 Lasered Cufflinks made as wedding gifts for Best Man, Ushers and Fathers. Welsh Slate and Silver. Please enquire if you wish to get a specific design lasered.